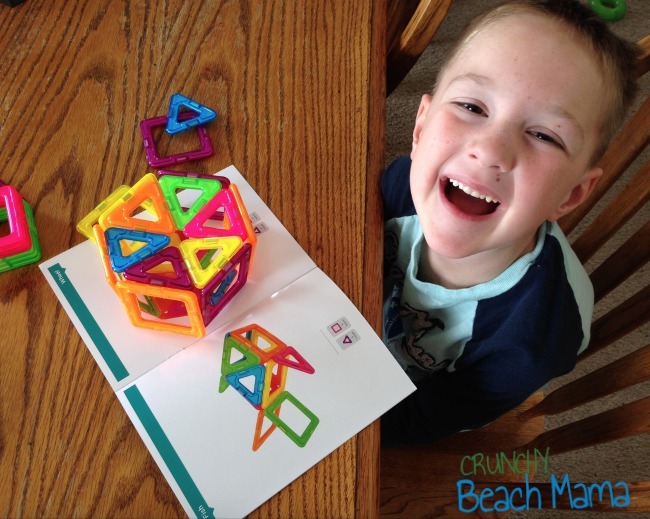 MAGFORMERS Review | More Crunchy Beach Mama! Our family was first introduced to MAGFORMERS last December. I was looking for something different to buy the boys for Christmas that would be a fun surprise. Something they would all use despite the eight year age gap. I bought a box of MAGFORMERS – unique magnetic building blocks. They come in shapes and bright colors and you can keep adding on to the sets to make your creations larger and larger. A 24-piece set arrived last week and P’Diddy instantly put a couple of things together, using the book of course. As the kids get the hang of it, you’ll see new pieces come to life using just their imagination. One thing I was reminded of as I was watching him put them together, is that they are easy to use. No snapping in place or difficult to remove. The magnets hold them together. They don’t come apart, but sometimes he did get frustrated because the pieces would move around out of shape and I had to hold it for him so he could add on more. 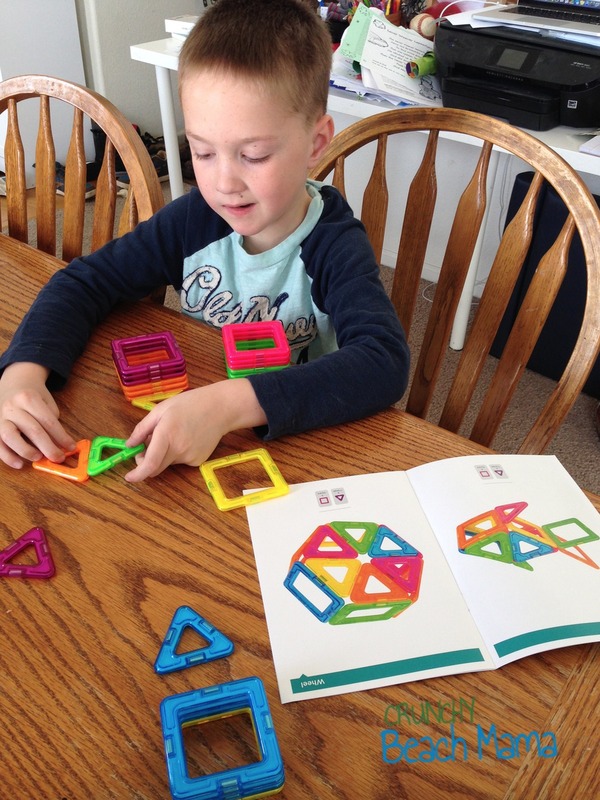 This set contains 8 triangles and 18 squares. The kids manual has pictures for a Fish, Wheel, Gift Box, House, Tower, Castle and Magic Ball. Storage is great since they stack on top of each other so not a lot of room is needed. This also means they are wonderful to bring along with you when you need an extra fun, keep-busy activity outside the house. 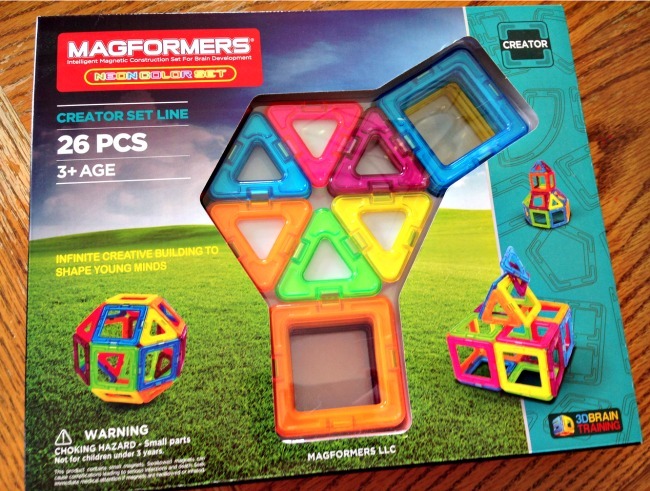 Has your family played with MAGFORMERS yet? Thanks MAGFORMERS and US Family Guide for sending this box for review. All opinions my own.